Thanks for joining this on-demand webinar! Enjoy the content! 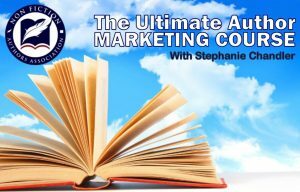 This webinar also provides a preview of what to expect from our newly launched Ultimate Author Marketing Course. This 12-module course is loaded with real-world examples and includes over 70 downloadable worksheets, checklists and templates. It also includes Q&A calls and Authority membership in the Nonfiction Authors Association. We think it rocks! Ready to elevate your author business?